Der Artikel bikeline Radtourenbuch Iron Curtain 2 wurde in den Warenkorb gelegt. 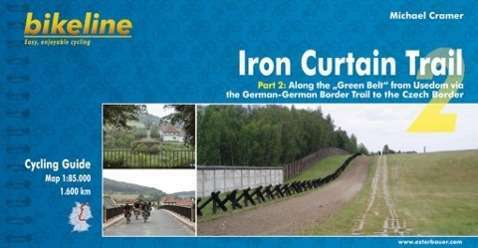 'Discovering history on the road', that is the goal of the "Iron Curtain Trail". From the Barents Sea down to the Black Sea, the traces of the Cold War can be found across Europe. The route does not just combine European culture, history and sustainable tourism but also takes the history-loving cyclist through very diverse landscapes and through the unique biotopes of the European Green Belt, which could develop in the border strip. The second volume documents almost 1, 600 km of the route, which goes from Swinemünde (Swinoujscie) on the German-Polish border to Prex on the three-country border of Saxony-Bavaria-Czech Republic.